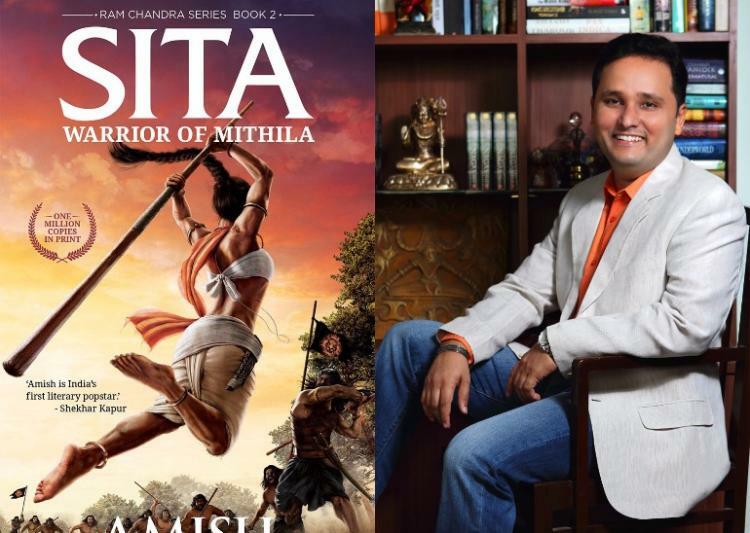 Sita: Warrior of Mithila has come out after a long wait of almost 2 years through which I personally have forgot a lot of Scion of Ikshvaku I had read. This book here reminds a lot of scenes from the earlier book and at some point feels like this would have been a chapter in Scion of Ikshvaku instead of being an independent book. But the upbringing of Sita, her childhood, an insight into her character are definitely a welcome. I have many times wondered how Sita could survive in Dandakaranya for 14 years when in exile, bearing the hard way of forest dwelling if she was raised just like a delicate princess just to be married and live like a queen. Either she should have had an arduous training during her childhood which helped her to endure the exile, or her conviction to walk with her husband in all walks of life must be unshakable. And Sita being trained like a warrior also could be a possibility, which we do not get much to perceive much from the epic of Valmiki Ramayana. But I somehow feel that Amish is great in explaining what happens with nature, forest, and animals more than what is happening to characters of his novel. His novels are gripping when he explains these in detail. Like Scion of Ikshvaku, there is woven story about Sita’s Mithila too, and the way that small city is ruled by Sita’s Mother more than Janak, and the larger politics that happen in Sapt Sindhu makes us keep reading the book. May be I liked Amish’s Shiva Trilogy since it was completely different from the Shiva Purana though difficult to digest Ganesh and Durga as Nagas. But this series seems to be totally just meant to satiate the whim of the author that is nowhere connected to Ramayana except names and places. He also addresses Sapt SIndhu as India a few times, which was non-existent in the Ramayana timeline. But the reader will enjoy the book thoroughly if read as just another work of Amish. The city security features, war scenes, each bit in forest is a good read in the novel. Rest said, I am not liking this Ram Chandra Series a lot and I might rethink before picking his next book which he says that the same story will be from the perspective of Ravan. My question is, when the context of literary intricacy is not much, the author could elaborate only the non-repeating parts of the story, instead of rather putting the same parts of the story in another person’s perspective, unless their experience of the same situation is vastly different from what has already been told!